This month we’re going to talk about movies, specifically the movies that feed your wanderlust. That’s a pretty broad category I think – it could be a movie set in a beautiful place that made you want to visit, or one about a journey that inspired you on your own trip. A movie can be great long after a favorite trip as well, reminding you of sights and walks from your own visit. 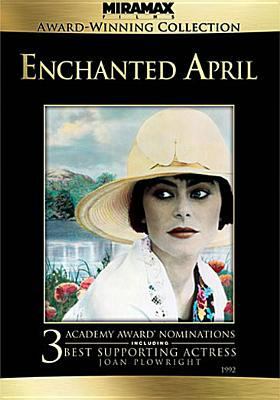 To help you get in the mood for travel, we’re going to be showing one of my favorite movies, “Enchanted April” at Fairmount (3000 Fairmount Street) on Tuesday, March 19 at 2pm. 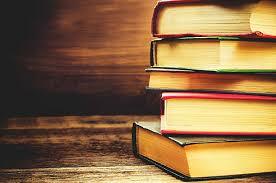 Four English ladies escape dreary late-winter England and rent a house in sunny Italy for the month of April. The women, who didn’t know each other before, come from all walks of life and travel to Italy for different reasons – to escape, to hide, to find themselves. There is a bit of intrigue, a little mystery, friendships that grow and blossom but most of all, there’s the gorgeous Italian countryside. A perfect antidote when you’re tired of winter whether you’re coming from England or Iowa! Other favorites to consider would include Midnight in Paris which is well worth watching both before and after a trip to the City of Light. My Mother and I loved the PBS television series All Creatures Great and Small and included several magical days in the Yorkshire Dales (where the series is set) when we traveled to England. Any Downton Abbey fans out there? A trip to Highclere Castle is probably high on your travel list. Dazzled by the over-the-top wealth shown in Crazy Rich Asians? You might be dreaming of a trip to Singapore. In other words, inspiration is all around us. Years ago, I fell in love with Paris partly due to Jean-Luc Godard’s Breathless from 1960. Starring Marshalltown, Iowa native Jean Seberg, this French New Wave crime drama mostly takes place in Paris. One of the most iconic scenes takes place when Seberg sells New York Herald Tribune newspapers while strolling down the Champs Elysees. My other favorite travel film is surprisingly, Doctor Zhivago from 1965. I fell in love with the movie years ago with its wintry scenes, emotional music, inspiring onion-domed buildings and the all over ambiance of Russia. This movie, has in part, has inspired me to add Russia to my list of destinations to visit someday. Now it’s your turn – what movie has sparked your travels?